Why do we cringe when we see someone with a red eye? Perhaps it’s because it looks painful and our eyes water just looking at it. But another reason is we are afraid of it spreading to us! Pink eye, or conjunctivitis (the medical term), is extremely contagious and epidemics occur easily in daycares, school and work settings and even sports teams. Conjunctivitis is inflammation of the lining of the eye. This lining has a lot of blood vessels – when the inflammation occurs, the blood vessels get bigger and this gives the eye a red or “pink” appearance. What causes conjunctivitis and how can we prevent it? Sometimes the cause is not contagious, such as allergies to pollens or pets. Other times it is from irritation from chemicals or something in the eye like contact lenses. But the most common causes are viruses and bacteria. These ARE contagious and easily spread through the hands rubbing the eye. Because the eye is inflamed, it itches and also produces a lot of watery or sticky discharge. We rub our eyes and the bacteria or virus is then on our hands. Anything we touch (doorknobs, toys) is then touched by someone else – if this person touches their eye then they will likely get pink eye in a few days. The best prevention for pink eye is hand washing. Also, do not rub your eye with your hand – use a disposable tissue. If you have pink eye you should avoid close contact with other people until it’s cleared up or until you’ve been on antibiotic drops for at least 24 hours (if indicated and prescribed by your medical provider). Antibiotic drops only work if the cause is bacterial. It is also helpful to wash pillowcases and towels in hot water, throw away contaminated eye makeup, clean eyeglasses, and do not wear contact lenses during treatment. Although pink eye is a mild illness most of the time, you should watch for complications. If your eye does not improve after 24 hours of using medicated drops, you should contact your medical provider. If the eye continues to be red for more than a week, if you have recurrent episodes of pink eye, if your symptoms are worsening, or if you have eye pain, you may need to see an eye specialist immediately. Although it is not common, permanent damage to the eye and vision loss can occur if a red eye is not treated promptly or appropriately. Questions? Contact your primary care provider. 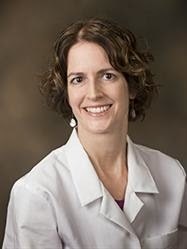 If you are looking for a new primary care provider, visit: primary.pinnaclehealth.org. Tại đây quý khách hàng có thể vay thế chấp ngân hàng tiền theo nhu cầu bằng hình thức thế chấp tài sản đảm bảo như nhà ở, đất, xe oto... Quý khách hàng muốn được hõ trợ vay vốn hãy gọi cho chúng tôi qua số hotline phía dưới hoặc gửi yêu cầu bằng form để được dịch vụ vay thế chấp ngân hàng tư vấn.